NextWhat if I Don’t Agree with the Feedback I’m Given? Feedback is a gift. For someone to take the time and energy to observe you and share their feedback is something valuable. No one is entitled to receive feedback. At Next Jump, we encourage a sense of gratitude for feedback. 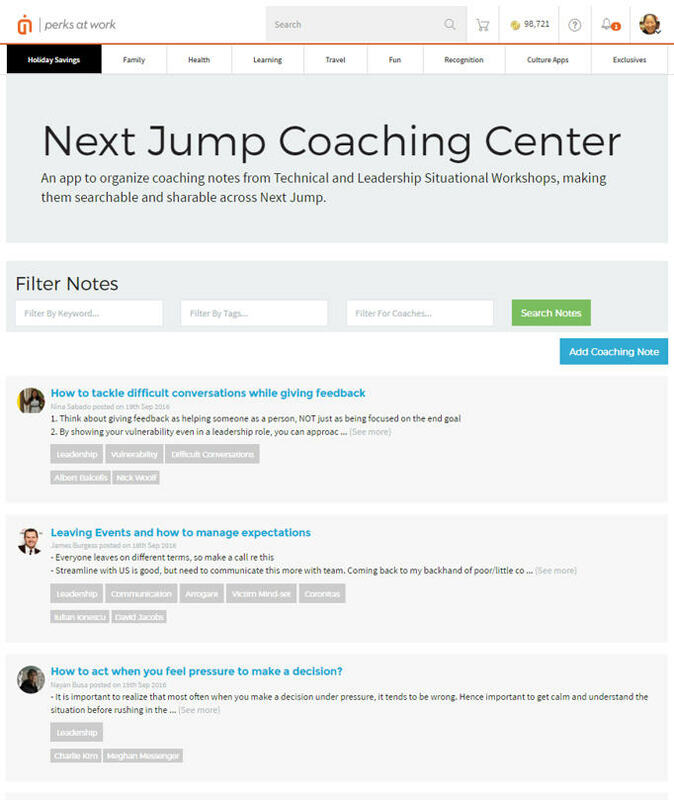 After receiving coaching in our Situational Workshops, we ask our employees to share what they found valuable back to their coach, and post key takeaways on our coaching center (available to everyone). We also found that having to share it with others helps you be deliberate in your reflection.